In order to study the nozzle’s temperature distribution and to reduce its heat load, the heat transfer boundary condition of nozzle has been simplified appropriately, considering the details of the convectional heat transfer inside the nozzle and the needle body contact heat transfer. Results of the simulation with ANSYS software show that the nozzle’s temperature distribution is complicated and high-temperature region are concentrated in the nozzle’s head. 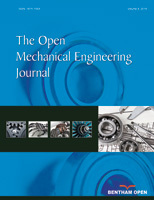 Considering the fact that the cooling fan plays an important role in reducing the heat load of air-cooled engine, the test points were reasonably selected to measure the needle valve body’s temperature as well as to seek reasonable cooling fan blade numbers and the blade installation angle for the air outlet in order to improve the thermal load of the nozzle. It was found that the nozzle’s temperature decreases at first but then increased when the fan blade numbers and the blade installation angle for air outlet increased, and the impact of the number of blades on the nozzle’s temperature was more significant than the blade installation angle for the air outlet. With the scheme of the blade installation angle of 132° with respect to the air outlet and with 20 blades, the temperature of the nozzle needle valve’s head and middle decreases to 21 K and 7 K on average compared with the original scheme, which has a good effect on reducing the temperature of the nozzle’s needle valve head, and the temperature gradient between two test points also reduced by 0.65 K/mm on average. It provides a reference for reducing the nozzle’s heat load.